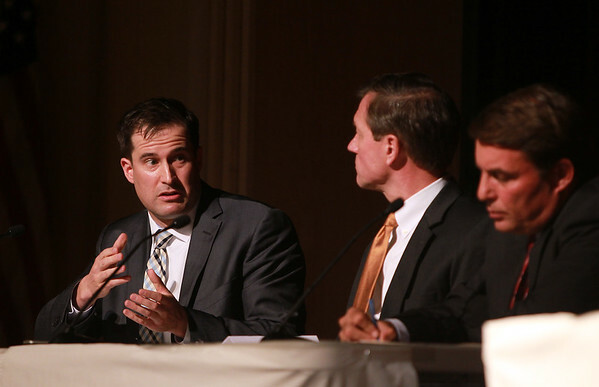 Congressional democratic candidate Seth Moulton, left, exchanges comments with his opponents, independent Chris Stockwell, center, and republican Richard Tisei, right, during a Congressional Debate held by The Salem News and Lowell Sun at Danvers High School on Thursday evening. DAVID LE/Staff photo. 10/23/14.